At the ROC, we are passionate about standing beside individuals that are transitioning from homelessness, treatment, or jail/prison. We strive to develop strong mentoring relationships and build community around those we serve. With 'A Hand Up', we do exactly that by providing temporary rental assistance to enrollees who are working hard to achieve their goals. With a team approach to goal setting, individuals develop a solid course of action, ensuring that their financial assistance has maximum, long term benefit. It has been estimated that up to 25% of families in SE Minnesota miss up to 10 meals per month. As of the summer of 2012, the ROC has partnered with Trader Joe's to run a food program and provide meals for hundreds of local families. ​Reach out to us for locations and eligibility, as well as to hear about volunteer opportunities. We believe that building a Christ centered community around those in need is the most effective way to facilitate long term growth. Our Round Table Mentoring program is staffed in part by volunteers with a heart for serving our community. ​Round Table Mentoring is an effective tool for facilitating change. By creating a pool of intellectual and professional resources to draw from, problems that once seemed insurmountable are solved, and individuals are better able to conquer their roadblocks and overcome their disadvantage. ​Lives are changing! 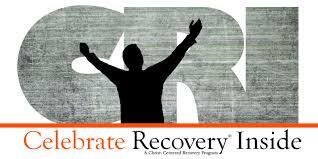 Celebrate Recovery has over 32,o00 host churches throughout the world. Men and women confined by their social disadvantage or incarceration are offered this Christ focused 12 step ministry in their institution. In Olmsted county, the ROC staffs both the Olmsted County Jail and the Federal Medical Center with Celebrate Recovery Inside. 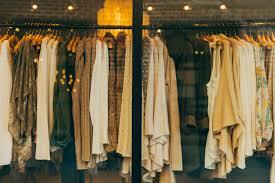 ​Our Common Thread ministry is a well stocked clothing ministry in Kasson, MN, open to anyone in need. The clothing and housewares that are not utilized directly in the community are sold to vendors, as a way to partially fund our outreach. ​We need your help. Head on up to the contact us page and schedule a coffee date with us to discuss volunteer opportunities, or click the donate button to the right to make your tax deductible donation now.